JRPG Jungle: The Sword Art Online game looks kinda cool! If you enjoyed the anime of Sword Art Online, you'll be pleased to know there is a game coming to the west. Sword Art Online: Hollow Fragment is based on the series, except you get to experience the land of Aincrad for yourself. The game gives you the chance to clear the game and climb to the top floor yourself, plus meet all of the very different characters and even romance them! Yes, that's right. You can romance your favourite SAO character. This game so far looks to be half your typical RPG with battles, leveling and costumes and then the other half is a dating sim. There is no doubt in my mind that people will be looking forward to romancing Asuna or one of the other girls but what I'm most excited for is exploring the world of Aincrad that had 100 floors in the show. I'm curious to see what these floors are like and how many floors they will let us gamers explore. If you happened to play Infinity Moment (the last Sword Art game), because these games are similar, you will be able to transfer your save to keep your stats. However if you've been waiting for the English release of Hollow Fragment, you can start your own leveling journey and also enjoy the content from Infinity Moment (apparently slightly-modified, although I assume this will only be improvements) for the first time, along with added extras all translated to English this US Summer (Australian Winter). Extras will include a new character, a new story involving the 'Laughing Coffin' group from the anime and online multiplayer features. If you're in the Europe/Australia region like me, never fear! 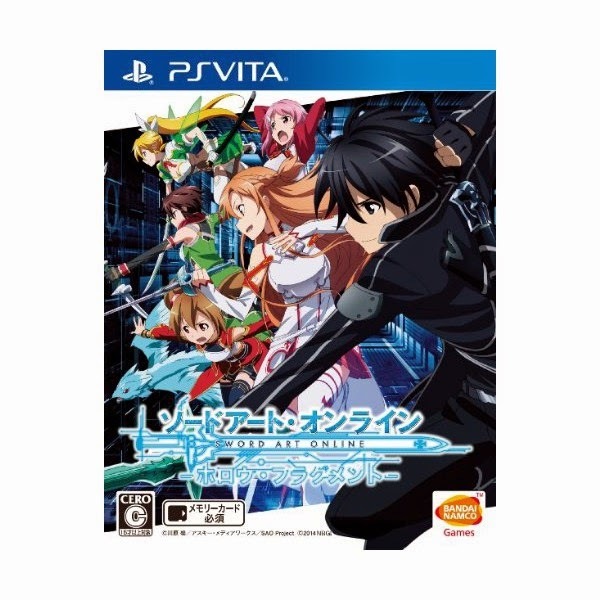 PS Vita games are region free, so you can order this game from a reliable import game retailer such as play-asia.com .